Funkoars have just released a brand new video clip, lifted from the upcoming Golden Era Mixtape 2014. The track is titled A Clockwork Orange. The video was produced by Adfu for Unity Sound & Visual and Richie Sandham for Eightlimb Films. 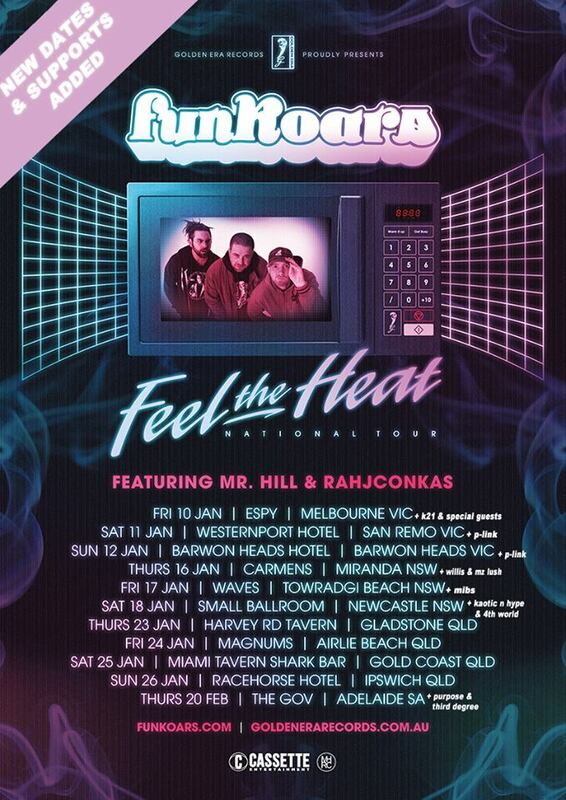 Funkoars are just about to set off on Feel The Heat National Tour featuring Mr. Hill & Rahjconkas. The 11 date tour features stop offs in Barwon Heads, Airlie Baech, Ipswhich and more, concluding in Adelaide. Other guests on the tour include K21, P-Link, Purpose, and more.